Sometimes you don’t have the time to roll, and rolling joints can be tricky and tedious if you have never done it before, so let us do the rolling for you! Perfectly packed and rolled with Raw Classic King-Sized Cone rolling papers! Pure and less processed rolling papers unlike anything that you have ever seen or smoked. It contains a hybrid blend of unbleached fibers making the paper a translucent natural light brown color. Raw rolling papers are watermarked with a patented CrissCross watermark. This special watermark helps prevent runs and maintain a smooth even-burn. Purple God has a moderate-strong heavy body sensation and a sense of spiritual uplift. 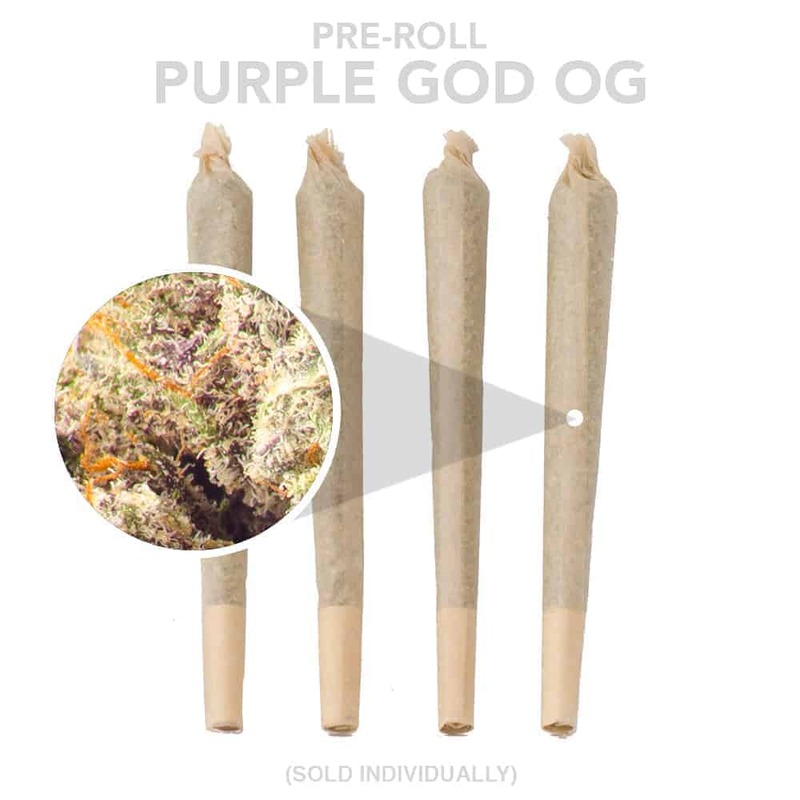 Pure relaxation with a euphoric twist, Purple God is a blessing from the heavens above. Dense, dark-green and purple flowers and a healthy level of “bling” make it impossible to touch without your fingers getting sticky. Purchase this product now and earn 8 Goldbucks!